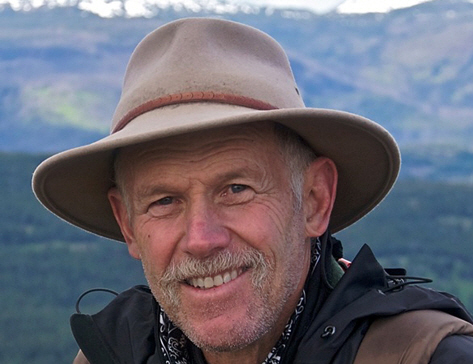 Author and wilderness lover, Howie Wolke will talk about the ongoing loss of wilderness, both in the big outdoors and within the human animal. He will relate the erosion of the wilderness idea to the spreading disease of Wilderness Amnesia. Wolke is a ‘wild preservative,’ to borrow the term from the late Edward Abbey, advocating for the designation and protection of real wilderness in the United States. He is past president and current vice president of the national conservation group Wilderness Watch. He also cofounded Big Wild Advocates, Montanans for Gallatin Wilderness, the original Wyoming Wilderness Association and the original wilderness-focused Earth First. Following his passion, Wolke has made his living as a wilderness guide and outfitter for the last 36 years. Click on the link above for upcoming brownbags. Three of Malcolm R. Campbell’s contemporary fantasy novels are set in Glacier National Park.